Modern building, opened in april 2003, located in Lanzarote, in the ciry of Yaiza, 3 km from Puerto del Carmen,the most turistic in the island. Panoramic views follow you from the moment you enter our lobby (where you'll be greeted with a complimentary drink) all the way to your guest room. There, a private terrace, spacious bathrooms and satellite television create an oasis of luxury. The hotel also features kids rooms. 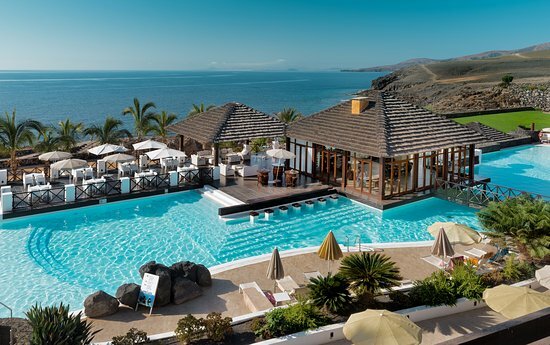 Four swimming pools, four restaurants, four bars, extensive gardens, a unique volcanic sand beach complete with a pier and our acclaimed Spa and Sports Club offer endless opportunities to unwind and surrender to sublime relaxation. Our friendly staff is happy to provide any help you'll need exploring the island. Or, linger at the hotel for a moonlit dip, a cocktail at the Piano Bar or a delicious seaside meal at La Caleta. *Environmental certifications ISO 14001 and ISO 50001. 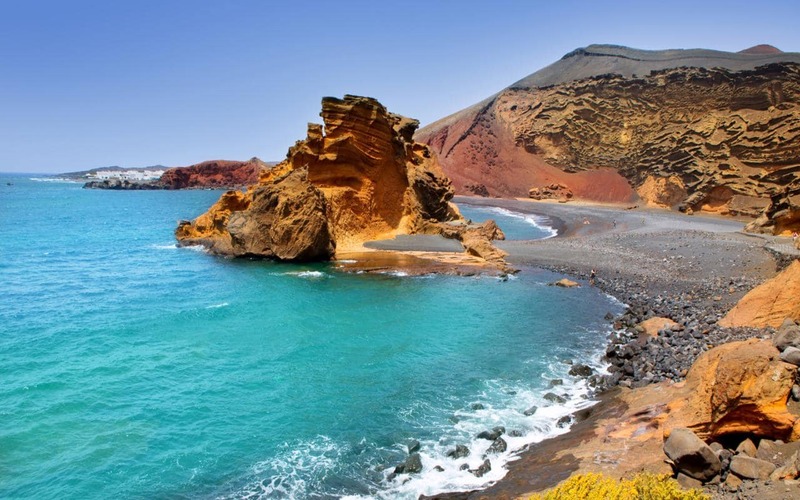 Lanzarote is a Spanish island, the northernmost and easternmost of the autonomous Canary Islands in the Atlantic Ocean. It is located approximately 125 kilometres (78 miles) off the north coast of Africa and 1,000 kilometres (621 miles) from the Iberian Peninsula. Covering 845.94 square kilometres (326.62 square miles), Lanzarote is the fourth-largest of the islands in the archipelago. 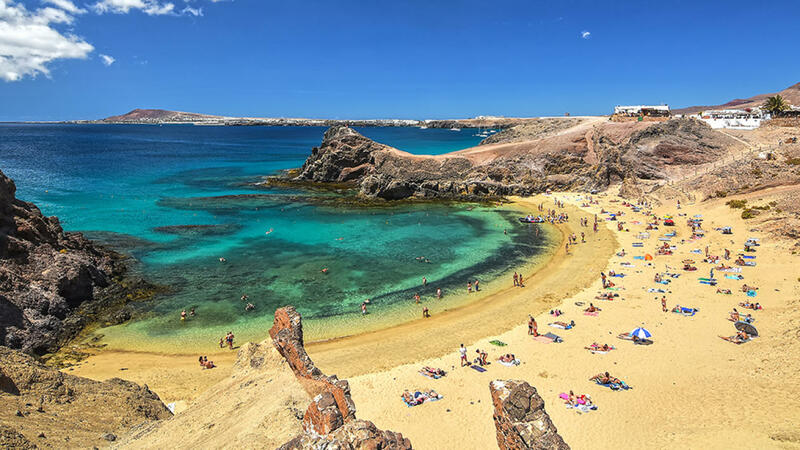 With 141,939 inhabitants, it is the third-most populous Canary Island, after Tenerife and Gran Canaria. In the centre-west of the island is Timanfaya National Park, one of its main attractions. The capital is Arrecife. 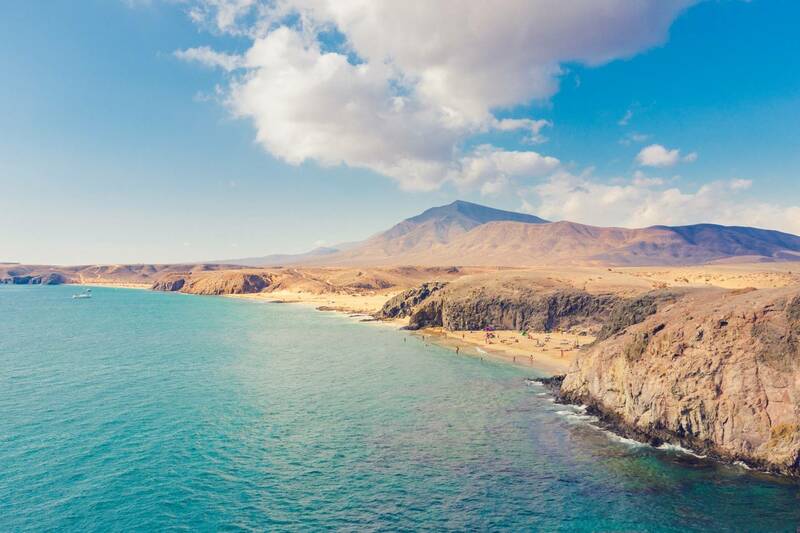 Often called the "Island of Eternal Spring", Lanzarote has a subtropical-desert climate according to the Köppen climatic classification. The small amount of precipitation is mainly concentrated in the winter. Rainfall during summer is a rare phenomenon and several summers are completely dry without any precipitation. On average the island receives approximately 16 days of precipitation between December and February. Sometimes, the hot sirocco wind prevails, causing dry and dusty conditions across the island. Average precipitation in June and August is less than 0.5 millimetres (0.020 inches). It closely borders on a tropical climate, with winter means of 18 °C (64 °F) and summer means of 25 °C (77 °F).